Welcome to Grace Brethren Village! We are a continuing care retirement community located on 21 beautiful acres in Englewood, Ohio. Come on over to visit and see all we have to offer. Experience our commitment to providing senior adults with an incredible atmosphere of fellowship, caring and peace of mind. 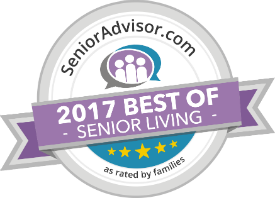 If you are looking for the best in retirement living or skilled nursing care for you or your loved one, consider our outstanding reputation. Whether you are considering independent living, assisted living or skilled nursing, see why our residents choose Grace Brethren Village. We provide a close, family-like caring atmosphere where we focus on each resident's happiness, comfort and safety. © 2019 Grace Brethren Village.